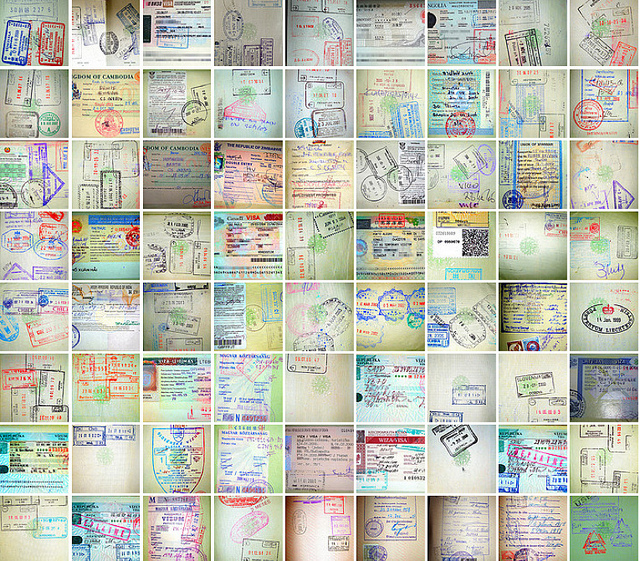 It’s sometimes the last thing to be checked before you jet off – the visa. But if you need a visa for a particular country and you arrive at the airport without one, you won’t even get past the UK check-in. The pitfalls of applying for and using visas are many and varied, but with a little research you should be able to get it sorted with the minimum of hassle. As a British citizen you might not need a visa at all. Travel to countries in the EU, for example, only requires a valid passport. You can stay indefinitely in EU countries and for varying lengths of time in the remaining EEA states (subject to a visa stamp in your passport). Many countries do not require you to apply for a visa in advance, instead simply stamping your passport with a visa stamp as you enter the border. The time you are permitted to stay will vary from country to country, and will be specified on the visa stamp. In many instances, you may be able to go on a ‘visa run’ if you wish to extend your stay. For example, at time of writing you can get a 30 day visa when you enter Thailand by air, but you can take a short trip to neighbouring Cambodia or Malaysia if you wish to extend your trip, by simply crossing the border then returning to Thailand and getting your passport stamped again. Be aware though, you’ll only get an additional 15 day visa if you re-enter Thailand through a land border. For countries that require you to apply for a visa before you leave the UK, the application process can vary a good deal. One of the key things to find out is if your visa begins when you land in the destination country, or whether it starts ticking as soon as the embassy sends it to you. In the case of India, for example, it starts as soon as the applicable office has processed your passport. This can have implications for when you book onward or return flights, so be aware. A 6 month tourist visa should be easy to obtain to visit India, but there have been stories of people getting an un-requested 3 month journalist visa simply because they ticked ‘media’ when asked what job they did! In almost all instances in which you need to organise a visa before you arrive, you’ll be required to provide two photographs. Make sure you send the correct size photos, since not all countries ask for the standard passport-size images (India being a good example). In the case of countries that have poor reputations for speedy visa processing, or who are known to cause problems for UK travellers, you might be well advised to put off buying your air ticket until your visa has come through, in the unlikely event that your visa is refused, delayed, or, god forbid, lost – along with your passport. This entry was posted in Travel Advice on July 19, 2012 by worldwideinsure.